Oooh la la! I had great fun making this yesterday; it survived the night in the fridge and looked quite well this morning I must say! 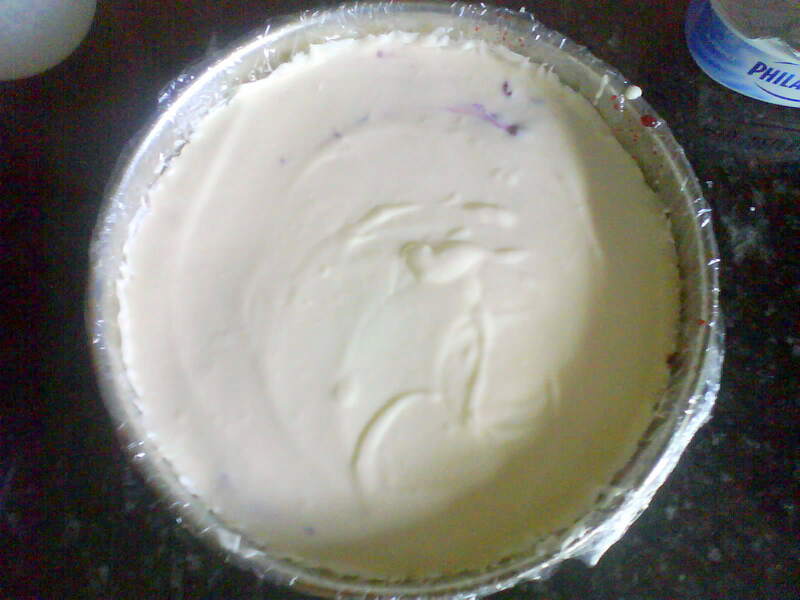 Basically it's a cheesecake recipe, made up of a few ideas from one of those Women's weekly cookbooks (they make me feel like I'm 65 when I buy them, but grannies make the best cakes so it's ok). a 22cm springform tin with cling film around the rim (but not the base, pop that back in after you put the cling film on). Smash up the biscuits in a sandwich bag with a rolling pin or something like that, and then add them to the melted butter and mix well. Mix the gelatine and water in a heatproof jug and leave to stand in simmering water for a few mins, stirring it until it's totally disolved. Leave to cool for a few mins. Beat the cheese, lemon and sugar in a bowl (yay for electric mixers), then beat in the cream and finally stir in the gelatine mix. 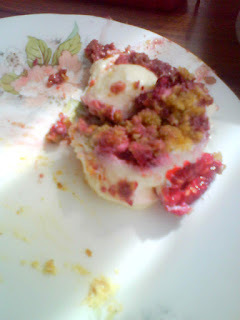 Put the raspberries on top of the biscuit base and pour in your filling. It should look like this. 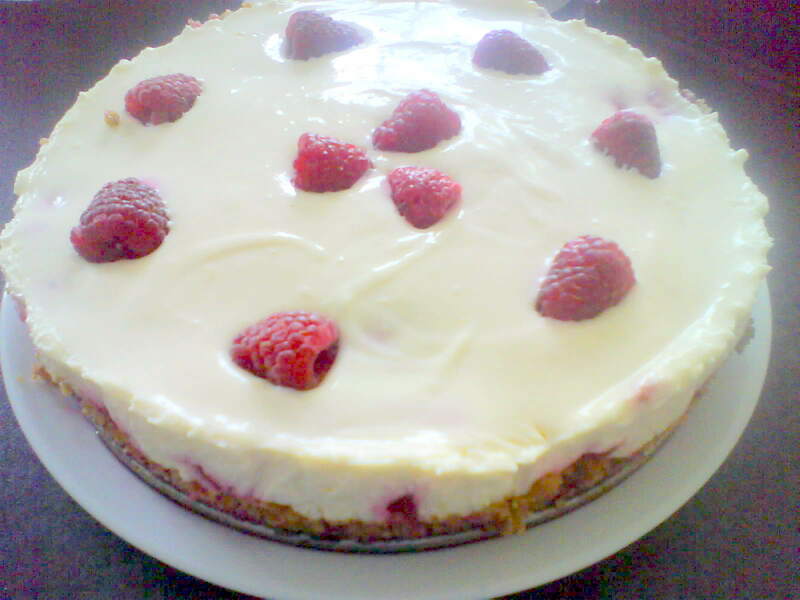 Then you can decorate with a few spare raspberries if you like. Leave it in the fridge overnight and then you can pop open the tin, gently remove the cling film and be left with something like the picture at the top. A hoard of hungry teachers descended on mine and devoured it in 10 minutes flat. I manage to get a wee crumbly bit for myself... and it was good. 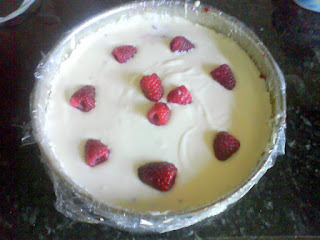 I'll make another one soon and you can have some!